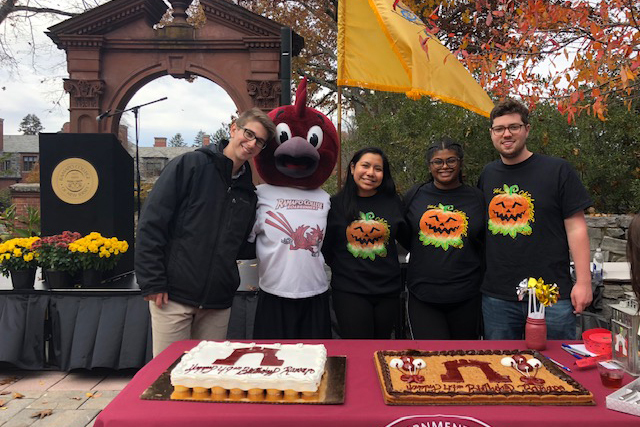 This year marks the 49th anniversary of Ramapo College, and the campus came together on Wednesday to celebrate in the annual Founders’ Day event. From 1-3 p.m. around the arch, students, faculty and staff joined in this birthday bash to show school spirit and appreciation for the College. The College was established in 1969, and Founders’ Day, hosted by the college president, Board of Trustees and the Student Government Association, is meant to commemorate the efforts of those who jump-started the success of the institution. 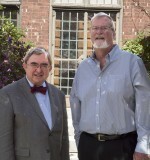 “The faculty, staff and administrators and trustees of Ramapo College in its first several years were critical to the ongoing pursuit of excellence in teaching and learning,” according to Ramapo’s website, underscoring the significance of the event. The afternoon kicked off with food, conversation and music before the formal addresses were made. A variety of sandwiches, soups, snacks and beverages attracted the crowds, along with activities set up in the Grove. A range of activities including a caricaturist, bean bag toss and giant Jenga made for a relaxed atmosphere. The food is typically a major feature of Founders’ Day, and the long lines proved this was the case again this year. While excitement was high for this year’s celebration, there was noticeable anticipation for the upcoming 50th-year celebration that will occur in 2019. The president of the SGA, Stephan Lally, gave opening remarks to welcome the attendees and introduced President Mercer. After announcing the winner of a raffle prize, which anyone could enter by wearing maroon, a competition was held to find the “Rowdiest Roadrunner.” The crowd collectively decided who showed the best school spirit, and the winner received a pair of airpods. Finally, President Mercer led the singing of “Happy Birthday” to Ramapo, and the ceremonial cookie cake was cut and served. “Founders’ Day is a nice way to get people involved and foster a sense of community,” said Wickham.